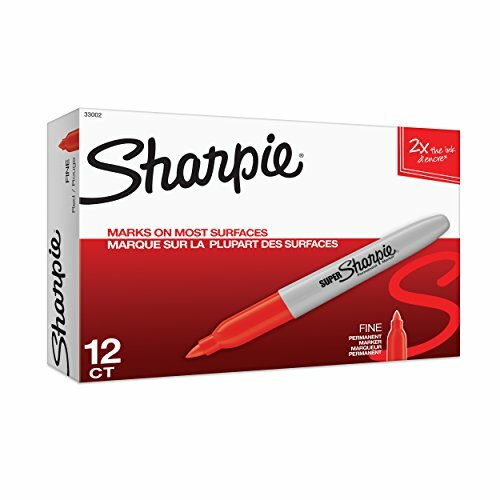 Sharpie 33002 Super Permanent Marker, Red, 12-Pack. Large plastic barrel is comfortable to hold and contains a super large ink supply. This ink writes permanently on almost any surface such as glass, wood, metal, photos, or plastic. Quick-drying ink is waterproof, smear-proof and fade-resistant and non-toxic. Contains 12 pens. 1.39 inches long by 8.87 inches wide by 9.09 inches high. 0.58 pounds. Made in the USA. With two tips in one, Sharpie Twin Tip Permanent Markers let you express yourself any way you want. Bold to the max and permanent to the core, Sharpie permanent markers inspire you to transform ordinary surfaces into passionately creative statements. 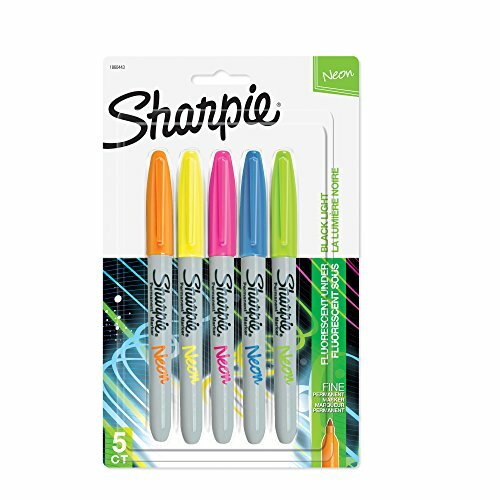 Made to write practically everywhere, vivid Sharpie markers eliminate dull and boring. Sharpie has iconic ink that dries quickly and resists both water and fading. While pale imitations wither away, Sharpie markers make creations that endure. 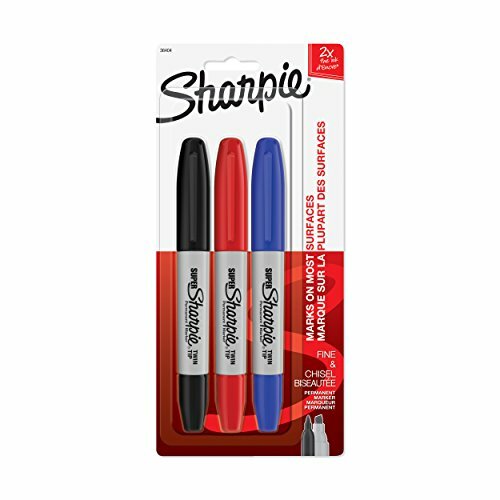 Featuring both a bold fine point and a precise ultra-fine tip, Sharpie Super Twin Tip Permanent Markers ignite courageous self-expression. 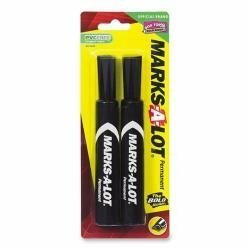 Sharpie 36404PP Super Twin Tip Fine Point and Chisel Tip Permanent Marker, Black, 3-Pack. Versatile marker with chisel tip on one side and fine-point tip on the other allows you to make both broad and detailed lines with precision. Special, flat design prevents rolling. Fast drying, smear-proof, fade- and water-resistant ink is AP certified nontoxic. Contains 3 pens. 5.5 inches long by 1 inch wide by 3 inches high. 0.4 pounds. Made in the USA. 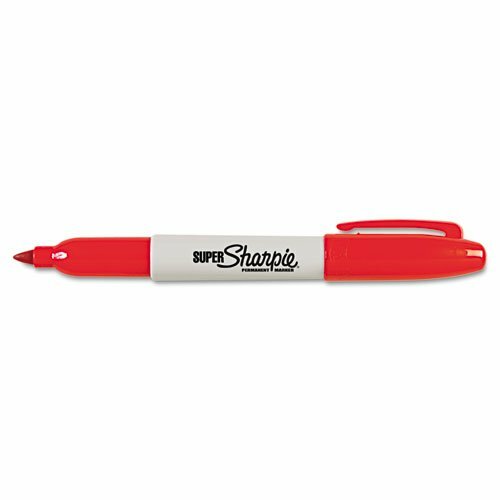 Sharpie Super Permanent Markers feature durable tips, comfortable barrels, and super-large supplies of ink. The permanent ink is fast drying and waterproof for easy writing and reading. The Sharpie Super markers allow you to draw precise, enduring lines that stand out on nearly every surface. Marker Type: Permanent; Color(s): Red; Tip Type: Fine; Ink Types: Non-Washable. 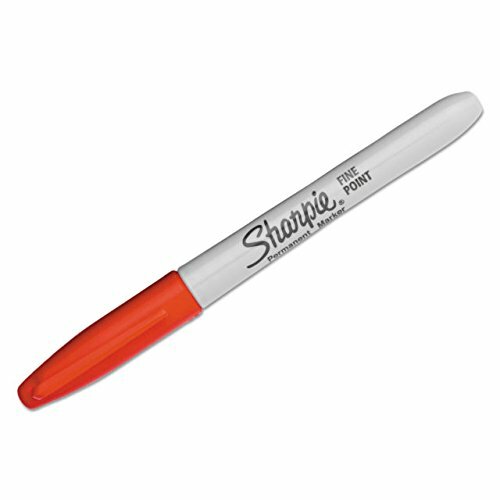 The Sharpie Fine Point marker was the first pen-style permanent marker of its kind to write on most surfaces from your favorite pair of jeans to your brother’s skateboard and, of course, paper. 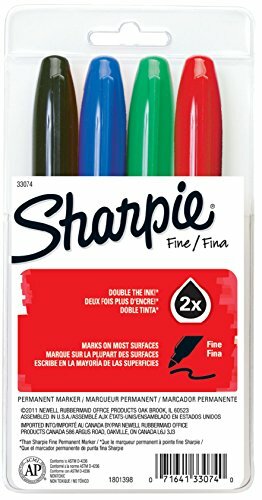 Today, Sharpie markers are still made with the same high quality ink that you’ve come to rely on and trust but are now available in over 30 unforgettable colors and numerous different tip sizes, making Sharpie the ultimate instrument of personal expression. With Sharpie, you can be confident that the quick drying, non-toxic formula will not only add a splash of color to your day but will deliver a superior marking experience every time. Super large ink supply extends marker life. Fine point makes impressive permanent marks on most surfaces. Quick-drying ink is waterproof smearproof and fade-resistant. 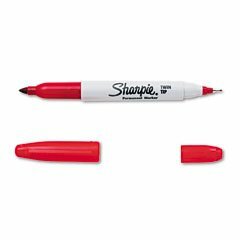 Marker Type: Permanent; Assortment: N/A; Color(s): Red; Tip Type: Fine. Features a fine point tip for thin, detailed lines on one end and an ultra fine point tip for even more precise writing on the other end. Both points write on most hard-to-mark surfaces. Quick-drying ink is waterproof, smearproof and fade-resistant. 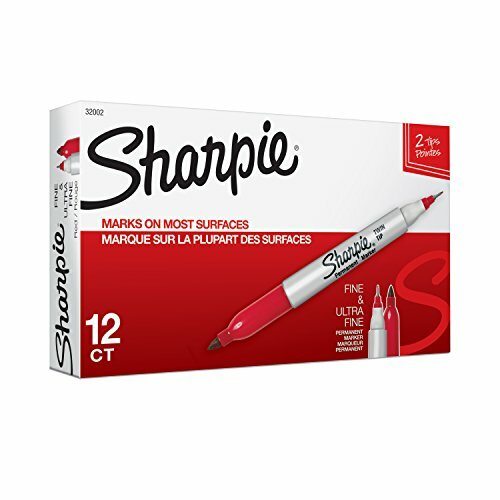 Compare prices on Super Sharpie Red Marker at ShopPlanetUp.com – use promo codes and coupons for best offers and deals. We work hard to get you amazing deals and collect all available offers online and represent it in one place for the customers. Now our visitors can leverage benefits of big brands and heavy discounts available for that day and for famous brands.